There is a widespread lack of understanding about Dementia and for too long people have seen it as only affecting older people but with over 40,000 people living with the condition under the age of retirement, this is simply not the case. The Alzheimer’s Society’s Dementia Awareness Week is campaigning to drive home the message that life doesn’t end when dementia begins, giving people the opportunity to hold on to the things they love for longer. While it’s important for everyone to plan for the future, legal planning is vital for a person diagnosed with Dementia. By seeing a solicitor as soon as possible, the person living with dementia can ensure that their wishes about finances, medical treatment and future care are properly recorded. The brain disorder can result in a decline in memory or other thinking skills and reduce a person’s ability to perform everyday activities. Some people with Dementia may get to the point when they no longer have the mental capacity to make a legal document, understand what it means or its implications. Leaving it too late to get the right advice makes it very difficult to set up the necessary legal arrangements. If you have a loved one with dementia, there are specialist lawyers to help who are trained to support people with dementia and their families. They can talk through the options for health and long-term care decision making, along with arrangements for managing personal care, finances, property and even end of life preferences. For years Dementia has taken a back seat. It’s time to put it at the forefront of your mind. 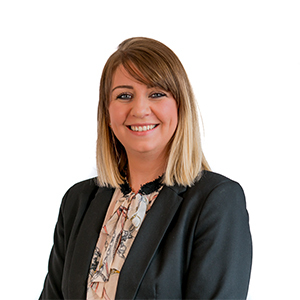 Anna Marie Knipe is Associate Solicitor at Birchall Blackburn Law. She is a member of the Society of Trust and Estate Practitioners, Solicitors for the Elderly, and the Law Society’s Private Client section.